This is where I spent the weekend. Nice? 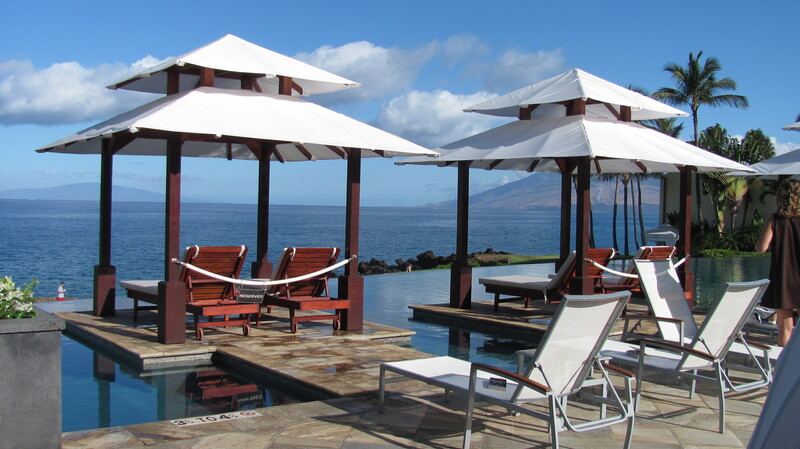 It’s the Wailea Marriott on Maui. 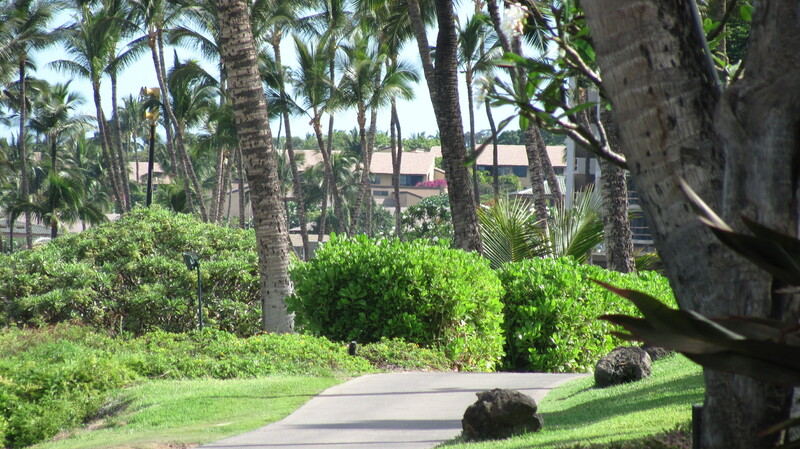 http://www.marriott.com/hotels/travel/hnmmc-wailea-beach-marriott-resort-and-spa/. Check out their website for great photos. Anyway, it took me years to convince Mike that there was any value in staying at a hotel on Maui when we already lived on Maui. In fact, he flatly refused to spend the money. So that left me bereft for the days when I used to come to Maui to vacation and just reeellaaaaxx. In his defense, his parents had a home on the North Shore of Oahu near the beach and we used to go over there about three times a year, so I did have a getaway. Then a few things happened to knock the stuffing out of vacationing over there: Aloha Airlines went belly up and took all of our hard-earned points with them. No more free flights. Grrrr. And what used to be a $25.00 flight interisland became a $50.00 flight, then a $70.00 flight. Mesa Airlines http://iflygo.com/ started the airline wars in Hawaii and they are the only ones who won. The people who live here can’t afford to “go interisland” anymore because a round-trip is now $160-$190 depending on the time of day. Times that by two people, and suddenly a Staycation was more in the budget than a flight. Mike said yes! Especially after his bout with blood poisoning…he knows I’ve been up to my a%* in alligators around here for a long time. We both were in need of a break. and also the tree in front of the Marriott on the path. What a great spot. 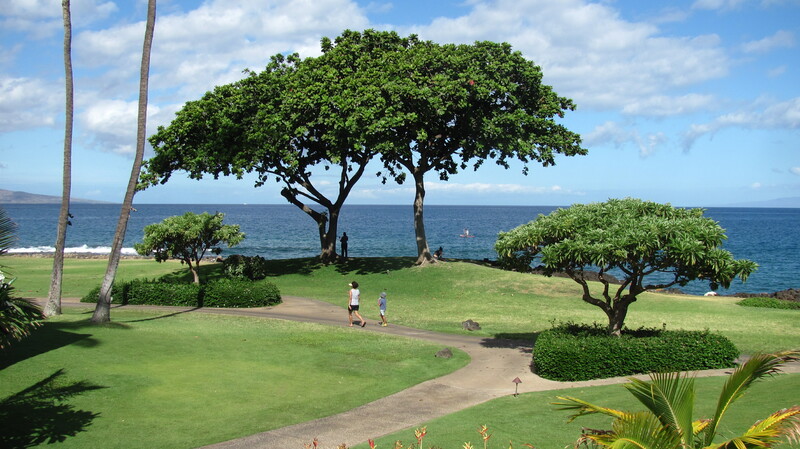 I used to attend the Maui Writer’s Conference every year here, but they did a major, very expensive overhaul since then. I remember taking my lunch and sitting under this tree when it felt like my brain was going to explode from classes (particularly the Screenwriting Retreat,where they basically locked us inside and wouldn’t let us out!) From that retreat though I met a wonderful writer and true friend, who is now a bestselling author: Graham Brown. http://grahambrownthrillers.com/ Start with “Black Rain” and work your way through. You won’t be disappointed. He’s just a stand-up guy and so humble, and the best part is, no matter how big he gets (co-writing with Clive Cussler now, ahem!) he still reads my scripts! Highly unusual in my business. Thanks, Graham! Another reason I love the Marriott is it’s within walking distance of the Shops at Wailea http://theshopsatwailea.com/ and that means restaurants, and that meant we didn’t have to get in the car for three days. We discovered too late that there is cart that makes a loop to the hotel and back, which would have been nice to know. I can’t get enough of the Crab Bisque at Tommy Bahama’s Restaurant http://www.tommybahama.com/TBG/Stores_Restaurants/Wailea.jsp Actually, I take that back. I order the cup of soup because it’s so rich. A bowl is too much! I will be sharing more with you more about this trip in the next couple of posts. People have written asking for restaurant reviews and hotel suggestions, so here you go. All from a local-yokel. A hui hou! (til next time). If you’d like to subscribe to this blog, please click the “Follow” button on the Home Page. This entry was posted in Uncategorized and tagged A Maui Blog, Hawaii, Hawaii Tourism Board, hawaii tourism Bureau, How to move to Maui, Kaanapali, Lahaina, Living in maui, Maui, Maui Blog, Maui blogger girl, Maui News, maui Tourism, Maui Tourism Bureau, Maui vacation, Maui Visitor, Maui Visitor's Bureau, move to Maui, moving to Maui, nature, restaurants in Maui, Restaurants in Wailea, Restautants in Lahaina, Staycation, THe Fairmone Kea Lani, THe Grand Wailea Maui. 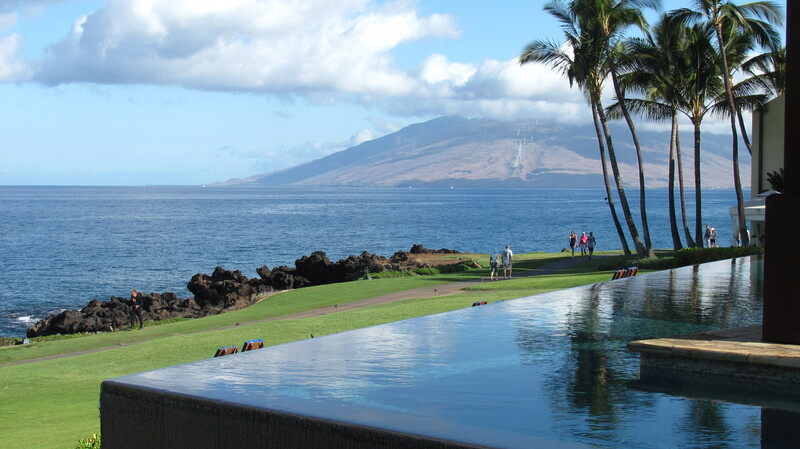 Serenity Pool, The Wailea Marriott, Tommy Bahama Restaurant, travel, Travel and Events, Trip to Maui by jamaicawtr. Bookmark the permalink.